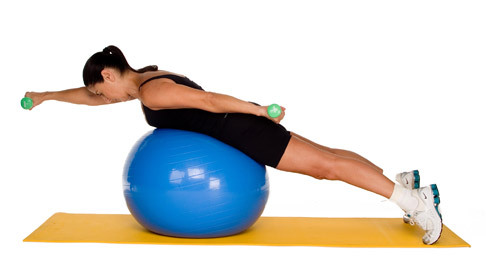 Start with your legs stretched, toes on the floor and resting your abdomen on the ball. Hold small hands weights down on the mat. Keep your back straight. Spice it up by alternating each arm forward. Repeat 10-20 times each side.